I would buy it, again. Haven't worn it yet. Bought for July 4Th. Children and grandchildren love that grands names are on it. Because I Love My Grandchildren! 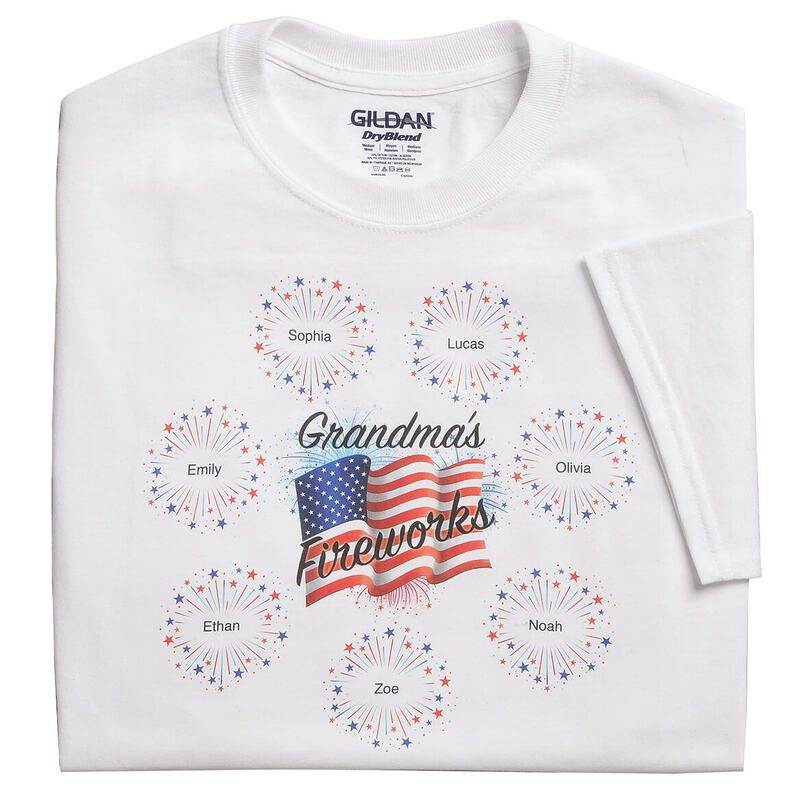 I wanted to surprise Mom with something to wear that not only she will love, which are all of her grandchildren's names on her T-shirt, but the T-shirt is also very patriotic. This item allows me to name all my grandchildren including one great grandchild. Because it's beautiful and I can show off my grands and great grands. The price is nice also, I.ve been shopping with Miles Kimball for years. I love Grandma TShirts that I can put my 3 Grandsons’names on it. Can I get one that says Mommy's instead of Grandma's? I'm a Mammy NOT a Grandma. BEST ANSWER: Thank you for your question. At this time we do not have a mommy shirt to be personalized. We apologize for any inconvenience.